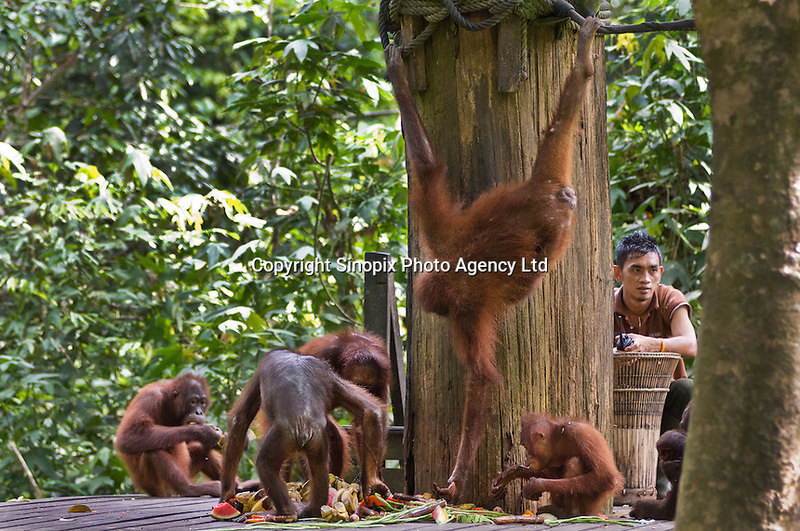 Orangutans feed on fruit provided by a ranger at the Sepilok Orangutan Rehabilitation Centre in Sabah, Borneo. Orangutan numbers continue to decline as Borneo's tropical forests are cleared to make way for palm oil plantations. The r49sq km ehab centre provides shelter for orphaned, wounded, or dislocated oragutans to recover before reintroduction to the wild.